Grandma, don't forget to file your ADEA claim! Two of the key components of a discrimination claim are 1. establishing discriminatory motive; and 2. showing an adverse employment action. 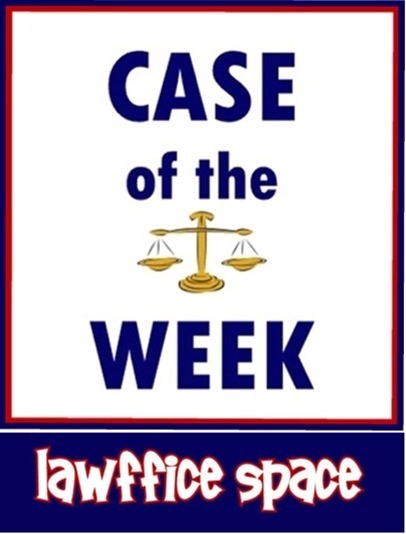 The employment law Case of the Week is Norris v. Millbrook, 2011 WL 5553082 (M.D. Ala. Nov. 15, 2011). It provides a succinct analysis of lateral moves as adverse employment actions, but first the discriminatory intent . . . The plaintiff was able to establish her employer's discriminatory intent based in part on ageist comments from her boss. He repeatedly called her "grandma" in a derogatory fashion. He allegedly followed up by telling the plaintiff she needed Gingko Biloba (believed to be a memory enhancer). So, when the boss transferred her to a new position, age might have had something to do with it. Although Plaintiff does not dispute that there was no abatement in her pay or her benefits, she testified that her responsibilities "were reduced to almost zero" and that she was not supplied "any [necessary] equipment" and that she was a departmental outcast after the move. The plaintiff was also, "moved to an unoccupied small desk in the corner of the records office that did not have a telephone or a computer." That was enough to get "Grandma" past the defendant's summary judgment motion. "Lateral moves" can be tricky, and results may vary from jurisdiction to jurisdiction.